When these two children moved in to the Lahore Kinship Project in Pakistan, they thought their life was over. Sobbing and almost inconsolable, they saw no hope for their futures. Their mother died, and their father is a drug addict. 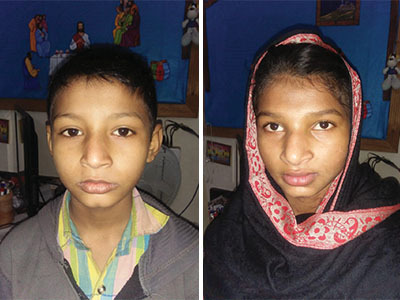 But thanks to faithful supporters of the Lahore Kinship Project, Adil (left) and Ayesha (right) are full of hope and are preparing for a bright future! They know the joy of the Lord, and they are regularly attending school. They even want to give back and join the ministry when they are older. Thank you for your gifts to the Lahore Kinship Project in Pakistan – Adil and Ayesha will transform their community in Pakistan, because of you!